Traditionally, Swiss companies sought external debt financing primarily by borrowing from banks and, occasionally, by issuing corporate bonds. High-yield debt securities, however, made their first appearance in the Swiss corporate finance market only in March 1997 when Doughty Hanson acquired the Swiss sanitary systems manufacturer Geberit from the Geberit family in a transaction worth more than 1.8 billion Swiss francs. This leveraged acquisition was partly financed by a 157.5 million Deutschmark-denominated high-yield bond. The high-yield bond was priced at a spread of 420 basis points over German government bonds and was five times oversubscribed. Doughty Hanson exited this investment in 1999 by listing Geberit on the Zurich Stock Exchange (now known as SIX Swiss Exchange AG). In the meantime, high-yield bonds became increasingly established in the Swiss corporate finance market with issuers such as the two Swiss telecommunications companies Sunrise and Orange (now known as Salt), the global travel retail company Dufry, the airport services provider company Swissport, and the steel producer and trader Schmolz + Bickenbach. For Swiss companies seeking finance, high-yield bonds and bank loans have a number of similarities but also differ in numerous ways; therefore, each of these instruments has specific advantages and disadvantages. Neither Swiss law nor, in particular, Swiss financial market regulation provides for clear definitions of high-yield bonds and bank loans. A common element of both instruments is that they are external debt financing instruments that increase the liabilities of a company raising funds and, should it become financially distressed, its bankruptcy risk. Market: high-yield bonds are bond instruments issued in the debt capital market and held by dispersed institutional investors, whereas bank loans are granted in a private market by one or several banks that are organised among themselves in a consortium agreement and represented by one of the banks acting as agent. Secondary market: high-yield bonds are listed on a regulated exchange that provides for a regulated secondary market, whereas bank loans or bank loan commitments cannot be traded in a regulated secondary market, but can only be transferred in negotiated transactions. Issuer and borrower: high-yield bonds issuers are often special purpose vehicles (SPVs), whereas borrowers of bank loans are usually holding companies, treasury companies or operating companies. Subordination: high-yield bonds are junior to bank loans since they are either contractually or structurally subordinated and bear higher risks but compensate investors for the higher risks by yielding higher returns. Term: high-yield bonds are usually issued with terms of between five and 10 years with non-call features (eg, 7nc3 or 8nc4), whereas bank loans are usually given for terms of between three and five years and allow for voluntary early repayment and cancellation. Availability of funds: high-yield bonds are fully drawn at issuance and repayable at maturity (bullet maturity), whereas loans in particular under revolving credit facilities can be drawn flexibly whenever the borrower needs funds. Interest: high-yield bonds can have fixed or floating interest rates, whereas bank loans commonly have floating interest rates (LIBOR or EURIBOR plus margin). Covenants: high-yield bonds are subject to incurrence-based covenants, namely covenants that the issuer only needs to comply with on the incurrence of certain events; whereas bank loans are subject to maintenance covenants, namely covenants that the borrower needs to comply with as long as the loan is outstanding. Reporting: high-yield bond issuers are subject to disclosure requirements as set forth in the applicable listing requirements, whereas borrowers of bank loans are subject to reporting and disclosure requirements as agreed in the bank loan documentation, which can be more frequent or relate to further topics. Security: high-yield bonds are usually guaranteed but unsecured, but recently a number have been guaranteed as well as pari passu secured with bank loans. Investment grade bank loans are usually unsecured, whereas sub-investment grade loans or leveraged acquisition loans are usually secured and guaranteed. Applicable law: so far, all high-yield bonds issued by Swiss issuers, except for Groupe Arcotec SA (see question 2), have been subject to New York law, whereas bank loans are usually subject to Swiss law or, should the loan not be able to be syndicated in the Swiss market, English law. Rating: it is market practice that high-yield bonds are rated by two external rating agencies, mostly two out of: Fitch Group, Moody’s and Standard & Poor’s (S&P) and the rating is below investment grade (Fitch: BB+; Moody’s: Ba1; S&P: BB+), whereas no external rating is required for bank loans. Based on the differences outlined above, for a company seeking financing, high-yield bonds are more expensive than bank loans, but leave the issuer and its group companies more operating freedom. Bank loans, on the other hand, usually have stricter covenants than high-yield bonds and restrict the borrower’s freedom to operate more. However, bank loans also allow the borrower to use the funds more flexibly and, since the bank loan creditors usually consist of a lender syndicate represented by an agent, it is easier to amend, extend and restate a bank loan arrangement. In October 2014, the Regulatory Board of the SIX Swiss Exchange AG cleared the way for the listing of high-yield bonds in Switzerland. This is of particular relevance since in recent years, Swiss issuers have increasingly been tapping the high-yield bond market. Previously, listing of high-yield bonds on the SIX Swiss Exchange was not possible since typical high-yield bond issuers, namely SPVs, were usually unable to satisfy the listing requirements (eg, track record of three years). Furthermore, it was not possible to have these listing requirements satisfied by a substitute guarantor since the SIX listing requirements only allowed direct or indirect parent companies of the issuer to act as substitute guarantors. However, since high-yield bonds usually only benefit from upstream or cross-stream guarantees, there was hardly ever a guarantor that could act as substitute guarantor for the issuer. As a consequence, high-yield bonds could not be listed on the SIX Swiss Exchange and, therefore, were generally listed in Luxembourg, Ireland or elsewhere outside Switzerland. For companies with shares listed on the SIX Swiss Exchange, this resulted in having to simultaneously comply with different listing and disclosure requirements. The change in the Regulatory Board’s practice that facilitated listing of high-yield bonds on the SIX Swiss Exchange was its decision to also allow direct or indirect subsidiaries or sister companies of the issuer to act as substitute guarantor - that is, group companies of the issuer which are granting upstream or cross-stream guarantees. The Regulatory Board also addressed any investor protection concerns resulting from this change by simultaneously raising the applicable disclosure standards. Furthermore, high-yield bonds are typically guaranteed (via both upstream and cross-stream guarantees) by a number of guarantors that collectively represent a fair share of group-wide earnings before interest, tax, depreciation and amortisation (EBITDA). Groupe Arcotec SA was the first issuer to benefit from the new regulatory regime. On 22 September 2016, Groupe Arcotec SA issued the first Swiss law governed high-yield bonds that were listed on the SIX Swiss Exchange. It issued 106 million Swiss franc 4 per cent bonds due for 22 November 2021. The bonds were guaranteed by a group of guarantors collectively representing 66.2 per cent of the aggregate EBIT of the group, most of them incorporated in Switzerland, which granted upstream guarantees subject to Swiss law and Swiss financial assistance limitations. Bank loans, on the other hand, will become subject to stricter regulation. 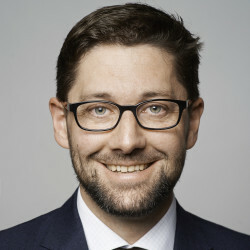 On 21 December 2015, the Swiss Federal Council adopted amendments to the current ‘too big to fail’ provisions and, in particular, the amendment of the Swiss Federal Capital Adequacy Ordinance. According to the Federal Council, the new requirements must be met by the end of 2019. The new capital adequacy or going-concern requirements should ensure that systemically important Swiss banks have sufficient capital to ensure continuity of service so that even in financial stress scenarios, they neither require state support nor need to be restructured or wound up. The going-concern requirements consist of a basic requirement for all systemically important banks and, depending on the degree of systemic importance, a progressive component. The latter is measured according to the market share and size criteria that already exist in the current system. The basic requirement for the leverage ratio (proportion of regulatory capital to unweighted total assets) is 4.5 per cent, and 12.9 per cent for risk-weighted assets. When extended by the expected progression based on the benchmarks, this results in going-concern requirements for the two big banks of 5 per cent overall for the leverage ratio and 14.3 per cent overall for risk-weighted assets. The currently applicable going-concern requirements are 3.1 per cent for the leverage ratio and 13 per cent for risk-weighted assets. The effect of such increased capital adequacy ratios on bank loans is that it will become more expensive for banks to extend bank loans because the capital adequacy requirements to support counterparty risks caused by such lending activity will be increased. Instead of granting bank loans at increased costs, banks may become inclined to convince clients to refinance by issuing capital market instruments such as high-yield bonds. In line with the European leveraged finance and high-yield bond market, the Swiss market matured in recent years. Among others, the following issuers went to market: INEOS Group Holdings SA and Matterhorn Telecom Holding SA (the issuer of the Salt Group). An ever-growing trend is that the Swiss market will see more refinancings of high-yield bonds with term loan B facilities. This started in October 2015, when Gategroup Holding AG refinanced its €250 million 6.75 per cent high-yield bonds by entering into a €250 million unsecured term loan B, fully underwritten by ING. At the company’s current leverage level, the annual interest cost for the new term loan B facility was set at below 3 per cent, allowing savings of more than 10 million Swiss francs per annum. The refinancing was even worth the payment of an early repayment fee under the bonds of 17 million Swiss francs. This one-off repayment will be compensated by total interest cost savings in excess of 50 million Swiss francs over the term of the bonds. We expect other high-yield bond issuers to follow Gategroup’s example and refinance high-yield bonds with term loan B facilities or generally to seek sub-investment grade funding in the term loan B market rather than the high-yield bond market. Key terms of loan B financings are more closely aligned with those of high-yield bonds than senior bank loans. In particular, term loan B facilities have less strict covenants, with financial covenants only needing to be tested on an incurrence basis. Furthermore, term loan B facilities are generally secured pari passu with the other (ie, term loan A) lenders. However, term loan B facilities usually have less call protection than high-yield bonds, allowing borrowers greater flexibility in making prepayments under term loan B facilities. The main participants in the Swiss high-yield bond market are the two major Swiss banks, Credit Suisse and UBS. They act as underwriters as well as financial advisers for the issuers. They become particularly involved when they help a borrower under a bank loan to refinance a loan with a high-yield bond. Many of the high-yield bonds issued by Swiss companies in the context of leveraged acquisition transactions have been secured pari passu with senior secured credit facilities agreements. In addition, both the high-yield bonds and the credit facilities have been guaranteed by group companies representing a certain minimum threshold of the group’s EBITDA or total assets, for example, 80 per cent or more. The pari passu treatment of the guarantees and the security granted in relation to the senior secured credit facilities agreement and the high-yield bonds is achieved, first, by including claims under the senior secured credit agreement and the high-yield bonds in the definition of ‘secured obligations’; and, second, by governing the application of the proceeds in the intercreditor agreement between, among others, the issuer of the high-yield bonds, the borrowers under the senior secured credit facilities agreement, the guarantors, the security providers and the security agent. In principle, high-yield bond issuances by Swiss issuers follow the precedents in the European high-yield bonds market. However, important precedents up to and until today are the senior secured notes issued by Sunrise Communications in October 2010. These notes were secured by first-ranking security interests, which at the same time were granted equally and rateably on a pari passu basis to the lenders under a senior credit facilities agreement. This high-yield bond issuance was seminal for several pari passu secured high-yield bond issuances to follow in the Swiss market, including, for instance, the senior secured notes issued by Swissport in January 2011; by Orange in May 2015; by Schmolz + Bickenbach in May 2017; by Salt in March 2017; and by Selecta in February 2018. The documentation for the Swiss law governed high-yield bond issued by Groupe Arcotec SA on 22 September 2016, however, followed the leaner Swiss corporate bond documentation precedents, even though it included a discussion and analysis by the management of the group’s financial condition and results of operations. High-yield bonds are usually issued with terms of between six and eight years with non-call features (eg, 7nc3 or 8nc4). After expiry of the non-call period, the high-yield bonds are typically redeemable at a redemption price equal to par plus one-half of the coupon and then declining rateably to par two years before maturity. Issue discounts are rarely granted. Among the few examples are the 8.5 per cent senior notes due 2018 issued by Sunrise Communications in October 2010, which were issued at 99.224 per cent, and the 9.875 per cent senior secured notes due 2019 issued by Schmolz + Bickenbach in May 2012, which were issued at 96.957 per cent. The Swiss law governed high-yield bonds issued by Groupe Arcotec SA on 22 September 2016 were issued and will be redeemed at par. Typical yield protection provisions include incurrence-based covenants such as restrictions on incurring additional debt; granting security or other liens on assets; making certain investments, dividend payments or distributions; selling assets; or entering into transactions with affiliates. Further, yield protection is achieved by guarantees granted by group companies of the issuer. Typically, high-yield bonds are guaranteed by group companies representing a certain minimum threshold of the group’s EBITDA or total assets, for example, 80 per cent or more. The Swiss market practice for launch, pricing and closing of high-yield bonds follows established European market practice. High-yield bonds usually bear fixed-rate interest. One of the few exceptions is the floating rate senior secured note issuance of March 2017 due for 2023 by Matterhorn Telecom (ie, Orange). The negative covenants in a typical high-yield bond covenant package are essentially promises by the issuer and its restricted subsidiaries to refrain from certain acts that could impair the issuer’s ability to satisfy its obligations under the high-yield bonds. In particular, high-yield bond covenants are designed to prevent the ‘controlled group’ from becoming over-leveraged, to protect the position of the holders of the high-yield bond in the controlled group’s capital structure and to preserve the assets of the group and the issuer’s access to those assets. modify the intercompany loans securing the high-yield bond or the terms on which the intercompany borrowers can issue other intercompany debt. Convergence of the covenants listed above can be seen with covenants in term loan B facilities. The financing conditions in the high-yield bond market have become more attractive over the past few months and spreads have been further reduced, following a trend which started in 2011/2012. Between launch and pricing, the covenants have not been amended. The constriction of covenants is less dependent on the industry sector, but rather on the rating of the issuer and the condition of the high-yield bond market in general. Usually change of control provisions, if triggered, allow the holders of high-yield bonds to request the issuer to repurchase all or part of them. Prepayment obligations can also be contained in asset sale covenants; however, such prepayment obligation usually only applies with regard to excess proceeds that were not able to be reinvested. The terms and conditions of the high-yield bonds issued by the Orange group subsidiary Matterhorn Telecom in May 2015 provided for an exemption from the change of control provision in case it was a ‘specified change of control event’ - namely, if the change of control occurred as a consequence of a merger or similar transaction, the consolidated net leverage ratio of the issuer and the restricted subsidiaries stayed below a certain level (4.5 to 1.0) and the specified change of control event only occurred once. The concept of ‘crossover covenant package’ is known in the Swiss market. However, so far it has only been used in the context of credit facilities agreements (eg, bridge or revolving facilities agreements), but not in the context of high-yield bonds. As a matter of Swiss law, no prospectus needs to be prepared if a high-yield bond is only privately placed in Switzerland. Furthermore, since high-yield bonds are usually not listed in Switzerland but rather in Ireland or Luxembourg, no Swiss listing prospectus is needed. Also, there is no Swiss regulatory body approving any offering material or other disclosures that are distributed or disseminated in the context of a high-yield bond offering in Switzerland. The sole exceptions so far are the high-yield bond issued by Group Arcotec SA issued on 22 September 2016, which were listed on SIX Swiss Exchange and, therefore, the prospectus had to comply with Swiss listing requirements. The terms ‘public offering’ and ‘public subscription’ are not defined in the Swiss Code of Obligations (CO). Generally speaking, a public offering is understood to be an offering made to an indefinite number of investors or by means of a public advertisement (eg, newspaper announcement, mass-mailings, web page with unrestricted access). By contrast, if issuers or placement agents solicit individually a limited number of selected investors, including by inviting them to roadshows or calling this finite number of handpicked investors individually, the offering is considered to be private as long as there are no public advertisements or similar communications relating to the offering. A qualitative approach is generally considered appropriate to distinguish a public offering from a private placement. Such approach is not based on a specific number of offerees, but considers whether investors were selected based on objective criteria as opposed to a general solicitation to the public or whether the investors have a pre-existing specific relationship with the issuer (eg, existing shareholders, existing employees). Given the need for numeric guidance, practitioners and commentators have developed a quantitative rule of thumb, which focuses on the number of offerees. The threshold between a private placement from a public offering has, based on this rule of thumb, traditionally been set at 20 investors; although, following the practice established under the Prospectus Directive, there is a trend among practitioners to consider that the threshold is at 100 investors. Some practitioners recommend as an additional precautionary measure to limit an offering relying on this higher threshold to institutional investors and (possibly) high-net-worth individuals. Even though Swiss law does not require a prospectus for a private placement of a high-yield bond, Swiss prospectus liability in accordance with article 752 of the Swiss Code of Obligations may still apply since such liability applies not only to public offering prospectuses, but also to any other offering or marketing material disseminated in the context of an offering, including a private placement. Prospectus liability claims can succeed only if, inter alia, the plaintiffs can establish causation. In other words, the plaintiffs must show that the misstatement of information or the failure to provide certain information in the prospectus or other offering or marketing material was an actual and adequate cause of the damage suffered. For example, if an offering memorandum for a high-yield bond contains misleading information, the plaintiffs would have to prove that, first, they would not have bought the high-yield bond, or would have bought it at a different price, if they had not been misled by the information in the offering memorandum and, second, that misleading information caused the damage in question. In other words, if missing or misleading information in an offering memorandum does not constitute cause for the damage in question, there is not a cause of action for prospectus liability under Swiss law. Swiss financial market regulation does not limit the use of proceeds from a high-yield bond issuance. However, high-yield bond proceeds in Switzerland will trigger Swiss withholding tax. Swiss financial market regulations contain investment restrictions for certain types of investors, such as insurance companies or pension funds. In particular, Swiss pension fund regulations set forth detailed asset allocation and risk diversification requirements that could prevent a Swiss pension fund from investing in a high-yield bond. Other than the closing requirements that apply to Swiss-law-governed security, Swiss law does not provide for closing mechanics specific to high-yield bonds. Should a Swiss guarantor or security provider grant upstream or cross-stream guarantees or security, such guarantees or security will be subject to Swiss financial assistance limitations and will need to be allowed by the corporate purpose provision set forth in the Swiss entity’s articles of association. The granting of such guarantees or the provision of such security must be approved not only by the board of directors of the Swiss entity, but also by its shareholders. Furthermore, payments under such guarantees or the application of enforcement proceeds of the security will be limited to the amount corresponding to the Swiss entity’s freely disposable equity at the time of enforcement. The amount must be determined based on current audited financial statements. Finally, a Swiss-language limitation is usually included in the guarantee and the respective Swiss security agreements. The security is granted to the security agent which, with regard to a Swiss-law-governed security, acts as direct or indirect representative of the secured parties. With regard to accessory security rights such as pledges, the security agent acts as direct representative in the name and on behalf of the secured parties; and with regard to non-accessory security rights such as assignments or transfers, the security agent acts as indirect representative in its own name but on behalf of the secured parties. In the Swiss market, a typical security package includes a pledge over the shares or, in the case of a limited liability partnership, the quotas of the relevant Swiss entity and, furthermore, each Swiss security provider grants a pledge over certain of its bank accounts as well as over its material intellectual property rights, if any, and assigns for security purposes certain receivables, such as insurance, intragroup and trade receivables. Security over movable assets is hardly practicable under Swiss law; in particular, if they are needed by the Swiss security provider for operational purposes since, as a matter of Swiss law, the perfection of a pledge over, or the security transfer of, movable assets requires that they be handed over to the secured parties, typically represented by the security agent, and, the Swiss security provider will no longer be able to dispose of these assets. Other than for the financial assistance limitations described above, there are no limitations specific to high-yield bonds that apply to the granting of Swiss law governed security, the assets that could become subject to such security interests or the parties that could provide such security. The security is granted to the security agent which, with regard to Swiss law governed security, acts as a direct or indirect representative of the secured parties. With regard to accessory security rights such as pledges, the security agent acts as direct representative in the name and on behalf of the secured parties; and with regard to non-accessory security rights, such as assignments or transfers, the security agent acts as an indirect representative in its own name but on behalf of the secured parties. The costs of legal expenses related to perfection of the security interests, maintenance and enforcement are borne by the security providers. Other than with regard to security over real property, which must be recorded in the Land Register, or security over aircraft, which must be recorded in the Swiss Aircraft Records Register, Swiss-law-governed security interests, for perfection purposes, do not need to be recorded in any public registers. Pledges over Swiss intellectual property rights are only registered with the Swiss Federal Institute of Intellectual Property for transparency and disclosure purposes, but not for perfection purposes. Also, pledges over shares in Swiss corporations or quotas in Swiss limited partnerships, for instance, for perfection purposes do not need to be recorded in the registers of the respective entities. The enforcement of Swiss law governed security is independent of whether the security has been granted to secure obligations under a high-yield bond or under any other agreement or undertaking. In principle, as long as the security provider is not subject to any insolvency or bankruptcy proceedings, the secured party or the security agent may enforce the security at its own discretion either by way of private enforcement or by way of enforcement proceedings pursuant to the Swiss Federal Debt Enforcement and Bankrutpcy Act. During the course of a private enforcement, the secured parties or the security agent may either sell the pledged assets to a third party or acquire any and all or part of the assets on their own or the secured parties’ behalf on arm’s-length terms. High-yield bonds are junior to bank loans as they are either contractually or structurally subordinated. It is standard market practice in Switzerland that intercreditor agreements relating to high-yield bonds and bank loans are subject to English law, and voting and control rights are always allocated in accordance with European practice. Issuers may set off interest payments on high-yield bonds against their tax liability. No special considerations apply for the high-yield bond market. 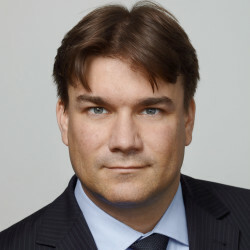 To avoid the 35 per cent interest withholding tax, high-yield bonds are typically not issued by a Swiss-resident company but rather by a foreign resident issuer. There are restrictions, however, with respect to on-lending the proceeds to Switzerland by way of debt push-down and the permissible interest rates on intra-group loans. Typically, high-yield bonds are issued by a foreign resident issuer. A tax ruling is typically obtained from the Swiss Federal Tax Administration to ensure that a foreign-issued high-yield bond is not considered a Swiss issuance for the purposes of Swiss withholding tax. Furthermore, tax rulings are regularly obtained from the cantonal tax administrations and the federal tax administration alike with respect to permissible interest on intra-group loans and thin capitalisation rules if the high-yield bond is secured by a Swiss resident company and the proceeds raised under high-yield bonds are on-lent to Switzerland.